Even if we are in a new Secular Bull Market, market history says future returns are likely to be modest at best. The CAPE is at 26.86, up from the prior week’s 26.56, and only a little lower than the level reached at the pre-crash high in October, 2007. Since 1881, the average annual return for all ten year periods that began with a CAPE around this level have been just 3%/yr (see graph below). The “big picture” is the months-to-years timeframe – the timeframe in which Cyclical Bulls and Bears operate. The U.S. Bull-Bear Indicator (see graph below) is in Cyclical Bull territory at 62.85, up from the prior week’s 62.05. The Intermediate (weeks to months) Indicator (see graph below) turned positive on June 29th. The indicator ended the week at 31, unchanged from the prior week. Separately, the Quarterly Trend Indicator – based on domestic and international stock trend status at the start of each quarter – gave a positive indication on the first day of July for the prospects for the third quarter of 2016. U.S. stocks slumped Friday, putting a damper on an otherwise strong week for the market. On Wednesday, the Federal Reserve elected to hold interest rates steady which seemed to be the catalyst for the week’s gains. The move (or lack thereof) was widely expected, but analysts noted that Fed Chair Janet Yellen’s tone appeared to be less “hawkish”. Markets were a sea of green for the week, with all major indexes recording gains. The Dow Jones Industrial Average added +137 points to close at 18,261, up +0.76%. The tech-heavy NASDAQ Composite managed a gain of +61 points to 5,305, a gain of +1.17%. Smaller indexes showed relative strength, as they have for much of the year to date, with the S&P 400 MidCap index rising +1.96% and the Russell 2000 SmallCap index gaining +2.44% while the LargeCap S&P 500 index added a more modest +1.19%. The Russell 2000 and NASDAQ Comp both established new highs for the year on Thursday. Both Transports and Utilities had a strong week with the Dow Jones Transports index rising +2.14% and Utilities up +3.34% as defensive sectors enjoyed a good week. In commodities, precious metals had a strong week with Gold up $31.50 to $1341.70, a gain of +2.4% per ounce, and Silver surging +5% to $19.81 an ounce. Oil was also bid up, with a barrel of West Texas Intermediate crude oil settling at $44.48, up +1.97%. The industrial metal copper also gained, adding +1.9%. In international markets, it was a sea of green as almost every major economy recorded gains. To the north, Canada’s TSX was up +1.7%. In Europe, the United Kingdom’s FTSE rose +2.97%. On Europe’s mainland, the major economies of Germany and France enjoyed significant gains, up +3.4% and +3.6% respectively. Italy’s Milan FTSE was also up +1.6%. To the east, China’s Shanghai Stock Exchange added +1%, along with Hong Kong’s Hang Seng which rose +1.5% and Japan’s Nikkei which was up +1.42%. Broadly speaking, both developed markets and emerging markets enjoyed strong gains with the widely-followed Developed Market ETF “EFA” ending the week up +3.08% and the Emerging Market ETF “EEM” gaining +3.07%. In U.S. economic news, initial jobless claims fell -8,000 to 252,000 vs. an expected 260,000, the lowest level since July and signaling a continued strong labor market. Initial claims have remained below 300,000 for 81 weeks, the longest streak since 1970. The smoothed 4-week average of new claims also fell 2,250 to 258,500. Continuing claims, the number of people already receiving benefits, fell 36,000 to 2.1 million the previous week. In housing – it’s hot out there! The National Association of Home Builders (NAHB) reported that home builder confidence surged to its highest level in 10 years. The NAHB’s index climbed +6 points to 65, the highest level since the height of the housing boom. Economists had forecast a reading of 60. The current sales conditions gauge rose +6 points to 71 and the future sales index gained +5 points also hitting 71. Buyer traffic added +4 points to 48. In its release, the NAHB noted that builder sentiment is being supported by the presence of “more serious buyers” in the market. The Commerce Department reported that multi-family construction starts declined sharply by -7.2% but that permits for single-family starts were up +3.7%. Starts and permits rose in every region of the country except the South. Constrained by supply, sales of previously-owned homes fell for a second straight month as the inventory of homes for sale continued to shrink (now down to 4.6 months of inventory). Existing-home sales fell -0.9% to a seasonally adjusted annual rate of 5.33 million according to the National Association of Realtors. The figure is +0.8% higher than a year ago. Economists had forecasted a 5.48 million pace. The Northeast was the only region to see gains. The median sale price for a previously-owned home is now $240,000, +5.1% higher than in August 2015. First time homebuyers made up 31% of the pre-owned market in August. The Chicago Fed National Activity index fell into negative territory at -0.55 last month, from a slightly positive reading in July. The Chicago Fed index is a weighted average of 85 different economic indicators. Only 19 of the 85 individual indicators made positive contributions in August. The index’s 3-month average ticked up to -0.07 from -0.09 in July. In the United Kingdom, the Bank of England said that the U.K. economy faces a challenging period after the Brexit vote. Policymakers stated that the vote for Brexit has created a “challenging period of uncertainty and adjustment.” In a quarterly update on the health of the financial system, the bank’s policymakers also said the United Kingdom’s withdrawal from the European Union would not be used as a way to reduce regulation on the banking sector. In its annual assessment of the help-to-buy scheme, a government program aimed to help first-time home buyers, it reported its closure would not lead to mortgage lending drying up or an increase in the size of deposits required to gain a home loan. On Europe’s mainland, preliminary data on France’s economy contracted slightly in the second quarter. France’s statistics agency Insee said second-quarter gross domestic product in the Eurozone’s second-largest economy fell by -0.1% quarter-on-quarter, following a +0.7% rise the first quarter. Enterprise investment fell by -0.4% following a +2.1% rise the first quarter. French Finance Minister Michel Sapin said that the budget would bring the deficit down to 2.7% of economic output in 2017 from a forecast of 3.3% earlier this year. Germany’s Finance Ministry said the German economy will lose steam in the second half of 2016 as weaker foreign demand causes industrial output to slow. In its monthly report, the Finance Ministry stated “German economic growth was robust in the first half of the year, but the latest economic data indicate a slowdown in economic momentum in the second half of the year.” Growth in industrial orders came to a halt in July and factory output and exports fell unexpectedly. The ministry blamed weak foreign demand for the low industrial activity and expected factory output would be weak the rest of the year. Finally, Jim Paulson, chief investment strategist at Wells Capital Management, shared a simple recipe for “substantial stock market gains” during a recent interview on CNBC. The key condition, he says, is for the S&P 500 earnings growth to be greater than the 10-year treasury yield. Using data back to 1950, the strategist found that when this is the case, the S&P 500 has gained an average of +11.6% for the subsequent year. When it’s been below, the S&P has risen just +4.7%. A further benefit is during periods when earnings are above the treasury yield, there was a lower volatility of returns. So which condition are we in now? Unfortunately, with earnings growth below the current 10-year yield, the current signal is negative for stocks as the chart below illustrates. The ranking relationship (shown in Fig. 5) between the defensive SHUT sectors (“S”=Staples [a.k.a. consumer non-cyclical], “H”=Healthcare, “U”=Utilities and “T”=Telecom) and the offensive DIME sectors (“D”=Discretionary [a.k.a. Consumer Cyclical], “I”=Industrial, “M”=Materials, “E”=Energy), is one way to gauge institutional investor sentiment in the market. The average ranking of Defensive SHUT sectors rose sharply to 19.3 from 22.3, while the average ranking of Offensive DIME sectors fell even more sharply to 22.5 from the prior week’s 18.3. The Defensive SHUT sectors now rank higher than the Offensive DIME sectors for the first time in seven weeks, despite the positive week. Note: these are “ranks”, not “scores”, so smaller numbers are higher ranks and larger numbers are lower ranks. Even if we are in a new Secular Bull Market, market history says future returns are likely to be modest at best. The CAPE is at 26.56, up modestly from the prior week’s 26.42, and only a little lower than the level reached at the pre-crash high in October, 2007. Since 1881, the average annual return for all ten year periods that began with a CAPE around this level have been just 3%/yr (see graph below). The “big picture” is the months-to-years timeframe – the timeframe in which Cyclical Bulls and Bears operate. The U.S. Bull-Bear Indicator (see graph below) is in Cyclical Bull territory at 62.05, down from the prior week’s 63.88. The Intermediate (weeks to months) Indicator (see graph below) turned positive on June 29th. The indicator ended the week at 31, down from the prior week’s 33. Separately, the Quarterly Trend Indicator – based on domestic and international stock trend status at the start of each quarter – gave a positive indication on the first day of July for the prospects for the third quarter of 2016. Stocks ended the week modestly higher despite elevated volatility. The Dow Jones Industrial Average ended the week up +38 points to close at 18,123. The tech-heavy NASDAQ surged +2.3%, up +118 points to 5,244 (mainly on the back of a big winning week for Apple, which is the most-heavily weighted stock in the NASDAQ index). Most other major indexes were up with LargeCaps showing relative strength over their smaller peers. The S&P 500 LargeCap index rose +0.5%, while the S&P 400 MidCap index fell -0.48%, and the SmallCap Russell 2000 ended the week up +0.46%. In international markets, Canada’s TSX was off -0.6%, while in Europe major markets were red across the board. The United Kingdom’s FTSE declined -0.98%. On Europe’s mainland France’s CAC 40 dropped sharply, down 3.5%, Germany’s DAX fell -2.8%, and Italy’s Milan FTSE plunged -5.6% as worries over Italy’s financial sector continued. Markets in Asia were also red: Hong Kong’s Hang Seng index fell -3.2%, Japan’s Nikkei dropped -2.6%, and China’s Shanghai Composite was off -2.8%. In broader terms, developed markets as tracked by the ETF ‘EFA’ were down -1.78%, while emerging markets as tracked by ‘EEM’ were down -0.54%. In commodities, strength in the U.S. dollar weighed on precious metals and energy. Gold fell $24.30 an ounce to $1310.20, down -1.8%. Silver, likewise, was off down -2.6% to $18.86 an ounce. Oil plunged -4.9% to $43.62 a barrel for West Texas Intermediate crude oil after statements from the International Energy Agency and OPEC indicated that elevated inventories are likely to keep the price of oil near current levels until 2018. The industrial metal copper had a strong week, up +3.2%. In U.S. economic news, the number of people who applied for unemployment benefits last week rose slightly to 260,000. The number remains below the key threshold of 300,000, and is still near the lowest level in decades. Economists had expected a rise to 265,000. As the labor market continues to tighten, companies are increasingly complaining that they cannot find enough skilled workers. The smoothed four week average of new jobless claims rose +500 to 260,750, according to the Labor Department. Continuing jobless claims, those already receiving unemployment benefits rose by 1,000 to 2.1 million in the first week of September. All figures are seasonally adjusted. A measure of sentiment of small business owners declined in August as owners became more cautious leading up to the election. The National Federation of Independent Business (NFIB) small business optimism index fell 0.2 points to 94.4. The most dramatic change was in the outlook for business conditions in the next six months, which declined -7 points. In addition, 38% of business owners in the NFIB survey cited the political climate as a reason not to expand – an all-time high for the survey. Consumer sentiment remained flat at 89.5, according to the University of Michigan’s consumer sentiment index. Economists had forecast a slight improvement to 90.5. Consumer’s assessment of the present weakened slightly while future expectations rose. Richard Curtin, the survey’s chief economist stated “Small and offsetting changes have taken place in the third quarter 2016 surveys: modest gains in the outlook for the national economy have been offset by small declines in income prospects as well as buying plans.” Curtin stated the reason expectations improved was to be found in the decline in stated inflation expectations for the future. U.S. retail sales fell in August for the first time in five months as most stores reported a drop in traffic. The decline of -0.3% missed estimates of a -0.1% decline. Lately the report has been mixed as online retailers have had solid performance, while more traditional sellers such as department stores have fared poorly. However, August’s report showed that sales for Internet sellers and mail order companies fell for the first time since the beginning of 2015. Only restaurants and apparel stores showed much strength, up +0.9% and +0.7%, respectively. Despite the relatively weak report, economists continue to predict that improved finances of American households will help increase spending in the last quarter of 2016. Higher rent and surging medical costs are putting a dent in the wallets of Americans, according to the latest Consumer Price Index (CPI) data. The CPI rose +0.2% last month due to the rising costs of housing and medical care. Medical care costs rose +1%, the fastest rate since 1984, while prescription drugs soared +1.3% according to the Labor Department. Excluding the volatile food and energy categories, the so-called core consumer prices rose +0.3%. The rising costs of housing and healthcare has been at least somewhat offset by lower prices for food and energy. Two closely watched U.S. regional manufacturing gauges both improved in September. The Empire State manufacturing index, which measures conditions in the New York area, remained in contraction but improved to 2 from -4.2. Factories in New York reported fewer new orders, lower shipments and reduced staffing levels, consistent with a contraction reading. In the city of brotherly love, the Philadelphia Fed Business Index jumped to 12.8, up 10.8 points from a month earlier. New orders improved, rising from -7.2 to +1.4 and the percentage of firms reporting increases in new orders edged up to 30%, up +3% from last month. But the Federal Reserve reported that industrial output weakened in August, declining -0.4%. The decline was worse than the -0.2% drop expected. On an annual basis, industrial production fell -1.1% in the 12 months through August. Over the year, manufacturing output was down -0.4% and mining output plunged -9.3%. The mining sector includes oil and gas extraction, which has been hurt by the low price of oil. In Canada, the Royal Bank of Canada said the economy will snap back as rising energy prices, low interest rates, and federal stimulus will help economic growth. The bank said it is looking for real annualized growth in GDP of +3.7% in the 3rd quarter as rebuilding takes place in Alberta following the devastating wildfire. The bank is anticipating a +1.9% rise in the 4th quarter. Hurt by the fire and weak exports, the Canadian economy shrank 1.6% on an annualized basis in the second quarter—the largest quarterly decline since 2009. In the United Kingdom, the Bank of England held interest rates steady in the wake of recent upbeat economic activity. The move, or lack thereof, was widely expected. The Bank’s Monetary Policy Committee lowered the UK base rate to a record low 0.25% in August to help cushion the effects of Brexit on the economy. This month, the bank voted unanimously to leave interest rates on hold and also voted to continue with its monthly bond buying purchases of 435 billion pounds of UK government bonds and 10 billion pounds of corporate bonds. German Vice Chancellor and Economic Affairs Minister Sigmar Gabriel will visit Russia next week to hold talks with Russian officials about the state of bilateral trade relations. The Ministry for Economic Affairs and Energy stated Gabriel was making his visit at a time when trade between Russia and Germany was declining because of weakness in the Russian economy and the low buying power of the ruble. Trade between the two countries fell 13.7% in the first half of the year compared to a year earlier and German exports to Russia were also down. China’s economy strengthened last month following government infrastructure spending and property sales. A slew of data from factory output to retail sales showed activity rebounding in August following a difficult summer. China’s National Bureau of Statistics reported that industrial output rose +6.3% last month from a year earlier, and up +0.3% from July – both beating expectations. Investment in buildings and other fixed assets outside rural households climbed a better-than-expected +8.1% from the previous year in the first 8 months of 2016. The Bank of Japan is preparing to expand its monetary stimulus even further as the economy remains mired in lackluster economic growth. Of concern is that the yen is considered a ‘safe haven’ currency that attracts foreign capital, which in turn drives up the price of Japanese exports. The central bank has repeatedly tried the help Japan’s international trade-reliant economy with “liquidity injections”; however, improvements in the economy perversely drive up the prices of Japanese goods overseas. But if the BOJ attempts to put downward pressure on the yen by lowering interest rates, it lowers borrowing costs making the economy more attractive to foreign investors, raising the yen and the cycle continues. This persistent catch-22 has remained a thorn in the side of BOJ officials attempting to spur the Japanese economy to steady growth. Despite nearly $800 billion of bonds being purchased annually, plus billions of dollars’ worth of exchange trade funds, economic growth remains stagnant while the yen has been on a tear—the opposite of the desired effect. Japan’s stock market is down 12.7% so far this year. Finally, there is evidence that 6 years into the economic recovery from the financial crisis, ordinary Americans are finally seeing an improvement in their household incomes. Data from the Census Department show that middle-class household incomes are growing at the fastest rate since the Great Recession. Even better, the strongest gains were noted among the lower-income groups, as can be seen on the chart below which illustrates the greatest percentage increase in real household income growth came in the lowest two income percentile groups. The ranking relationship (shown in Fig. 5) between the defensive SHUT sectors (“S”=Staples [a.k.a. consumer non-cyclical], “H”=Healthcare, “U”=Utilities and “T”=Telecom) and the offensive DIME sectors (“D”=Discretionary [a.k.a. Consumer Cyclical], “I”=Industrial, “M”=Materials, “E”=Energy), is one way to gauge institutional investor sentiment in the market. The average ranking of Defensive SHUT sectors rose to 22.3 from 23.3, while the average ranking of Offensive DIME sectors fell to 18.3 from the prior week’s 15.8. The Offensive DIME sectors remain higher in rank than the Defensive SHUT sectors, but by a much-reduced margin. Note: these are “ranks”, not “scores”, so smaller numbers are higher ranks and larger numbers are lower ranks. Even if we are in a new Secular Bull Market, market history says future returns are likely to be modest at best. The CAPE is at 26.42, down from the prior week’s 27.07, and only a little lower than the level reached at the pre-crash high in October, 2007. Since 1881, the average annual return for all ten year periods that began with a CAPE around this level have been just 3%/yr (see graph below). The “big picture” is the months-to-years timeframe – the timeframe in which Cyclical Bulls and Bears operate. The U.S. Bull-Bear Indicator (see graph below) is in Cyclical Bull territory at 63.88, down from the prior week’s 67.21. The Intermediate (weeks to months) Indicator (see graph below) turned positive on June 29th. The indicator ended the week at 33, down from the prior week’s 34. Separately, the Quarterly Trend Indicator – based on domestic and international stock trend status at the start of each quarter – gave a positive indication on the first day of July for the prospects for the third quarter of 2016. Stocks suffered their largest weekly decline since the start of a year, due almost entirely to a sharp sell-off on Friday. Friday’s plunge marked the end of an extended period of light trading activity and relatively stable stock prices. For the week, the Dow Jones Industrial Average fell -406 points to 18,085 down -2.2%. The NASDAQ Composite declined more than -123 points to 5,125, down -2.36%. LargeCaps did better than SmallCaps and MidCaps for the first time in a while: the S&P 500 LargeCap index ended down -2.39%, while the S&P 400 MidCap index lost 3.19%, and the SmallCap Russell 2000 lost over -2.61%. Most international markets were also lower, but not to the extent of the U.S. Canada’s TSX fell -1.73%, the United Kingdom’s FTSE declined -1.71%, Germany’s DAX lost -1%, France’s CAC 40 ended down -1.1%, and Italy’s Milan FTSE remained nearly flat, down just -0.16%. But major markets in Asia bucked the trend by ending the week on a positive note. China’s Shanghai Composite was up for the week, rising +0.37%, Japan’s Nikkei rose +0.37%, and Hong Kong’s Hang Seng index surged a very strong +3.58%. As a group, international developed markets fell 1.51% (EFA), while as a group international emerging markets fell -1.87% (EEM). Commodities demonstrated their uncorrelated-ness with equities. Gold added +$7.80 to $1,334.50 an ounce, up +0.59% and Silver ended the week flat at $19.37 an ounce. Oil rebounded from the previous 2 weeks decline, rising +3.24% to $45.88 a barrel. In U.S. economic news, the number of Americans who applied for new unemployment benefits fell by 4000 last week to 259,000, remaining near the lowest level since the early 1970’s. Economists had forecast a reading of 265,000. The less-volatile four week moving average of claims fell 1,750 to 261,250. New claims have remained below the key 300,000 threshold for 79 straight weeks, the longest stretch since 1970. Continuing jobless claims were also positive, dropping 7,000 to 2.14 million in last week of August. These claims reflect people already receiving unemployment benefits. All figures are seasonally adjusted. Unfilled job openings reached an all-time high of 5.9 million in July, according to the Labor Department’s Job Openings and Labor Turnover Survey (JOLTS). In the report, hires increased to 5.23 million from 5.17 million in June. The number of people quitting jobs voluntarily remained flat at 2.98 million, but that number remains up substantially from recessionary levels, interpreted to mean that departing workers are confident about finding another job. The JOLTS report follows the monthly nonfarm payrolls data, but provides greater detail in labor market conditions, particularly how fluid or stagnant it is. The Institute for Supply Management’s (ISM) services gauge missed expectations, dropping abruptly to a six year low in the latest string of unexpectedly weak economic data. The ISM services index dropped to 51.4 last month from 55.5 as new orders plunged. Consensus expectations had been for a reading of 55. While readings over 50 still indicate expansion, companies in the US that offer services such as healthcare, transportation services, and financial services grew at their slowest pace since 2010. The report is of particular concern because services make up roughly 80% of the U.S. economy. ISM’s manufacturing survey turned negative last month. Jennifer Lee, a senior economist at BMO Capital Markets stated “much like its manufacturing cousin, the nonmanufacturing services ISM could pour cold water on expectations for a Fed rate hike later this month and also called into question the strength of the economy heading into the fall.” In the details of the report, the ISM manufacturer new orders index plunged almost 9% to the lowest level since the end of 2013. The production index had a similar large decline, and the employment gauge remained barely in expansion at 50.7%. The Federal Reserve’s Beige Book, a summary of current economic conditions from 12 Fed districts, reported that the U.S. continues to experience “modest” economic growth in most districts. However, key regions like New York and Kansas City showed no growth, and Philadelphia and Richmond reported slower economic growth. The report showed rising wages, but inflation remains tame. Most districts reported that labor markets remained tight, but price increases were described as “slight overall”. Overall consumer spending was little changed in most districts, and auto sales declined slightly but remained at high levels. Respondents indicated that they expected growth to continue at a “moderate” pace in coming months. Consumer credit jumped to $17.7 billion in July as borrowing accelerated in July, supporting expectations that consumer spending will remain a key factor in economic growth. Economists had expected an increase of “only” $16 billion. In the second quarter, real consumer spending rose at an annualized 4.4% rate. Non-revolving credit, such as student and auto loans, drove borrowing in July with a 6.7% annual gain in July, compared to a 2.4% annual gain the previous month. Revolving credit, representing mostly credit card debt, rose at a 3.5% annual pace in July, down from June’s 11.5% spike. In the United Kingdom, the Organization for Economic Cooperation and Development (OECD) ate some crow regarding its earlier doom and gloom forecasts, admitting that Brexit will not have a major impact on the UK economy after all. In addition, it stated that the global outlook now remains unchanged following the vote. It was a major retreat from its forecast ahead of the referendum, when it warned that a Brexit vote would have a ‘large negative shock’ on the economy – rightly described as “scare tactics” by Brexit proponents. German exports plunged in July, the latest in a string of weak economic data from Europe’s leading industrial economy. The Federal Statistical Office, Destatis, reported that exports dropped -2.6% from June. Even worse, exports were down -10% from July last year– the steepest twelve-month decline since the fall of 2009. Industrial orders barely rose in July and output was down the most in nearly 2 years. Demand for goods in countries outside of the EU, such as China, Russia, Japan, and the U.S. was down the most – more than -13% compared to July of last year. The Italian statistics agency and Eurostat (the EU’s statistical arm) agree that Europe’s third-largest economy experienced no growth in the second quarter of 2016. The data comes as another blow to Prime Minister Matteo Renzi as he prepares for a major referendum on constitutional reform. The referendum aims to streamline Italy’s political system by giving more power to the prime minister. There have been 63 Italian governments since the end of World War 2—many lasting just a few months – and governmental chaos is more the rule than the exception. This week China hosted the G20 summit where world leaders gathered to discuss the shared challenges of encouraging global economic growth and avoid protectionist policies. The fact that China hosted the event is further evidence of China’s ascension among the world’s economies. China’s economic transformation has been one of the most dramatic in modern history. Per capita incomes have risen six-fold in just over a decade, and the country holds the world’s largest amount of foreign exchange reserves. According to the International Monetary Fund (IMF), China now accounts for more than 12% of world exports – more than any other single country. In Japan, the economy expanded at an annualized pace of +0.7% from the previous quarter, beating expectations of a +0.2% rise. Improved capital expenditure figures, higher inventories, and strong public investment all contributed to the modest rise. But business investment declined -0.1%, better than the expected fall of -0.4%, but still negative and down a second consecutive quarter. Finally, the housing market continues to power ahead month after month as we note prices rising and inventory continuing to shrink. However, real estate consultant John Burns has dug deeper into the numbers and noted that while the housing market continues to move ahead (mostly on limited supply), a generation of home buyers is being left behind. His research notes that home ownership rates have fallen across all age groups since the housing collapse in 2009, but the biggest drop has occurred in the millennial generation. Burns predicts that the homeownership rates will continue to fall through 2025, meaning that millennials will be renting or living with their parents a lot longer than their own parents did. The ranking relationship (shown in Fig. 5) between the defensive SHUT sectors (“S”=Staples [a.k.a. consumer non-cyclical], “H”=Healthcare, “U”=Utilities and “T”=Telecom) and the offensive DIME sectors (“D”=Discretionary [a.k.a. Consumer Cyclical], “I”=Industrial, “M”=Materials, “E”=Energy), is one way to gauge institutional investor sentiment in the market. The average ranking of Defensive SHUT sectors was unchanged at 23.3, while the average ranking of Offensive DIME sectors fell to 15.8 from the prior week’s 15.3. The Offensive DIME sectors remain higher in rank than the Defensive SHUT sectors. Note: these are “ranks”, not “scores”, so smaller numbers are higher ranks and larger numbers are lower ranks. Even if we are in a new Secular Bull Market, market history says future returns are likely to be modest at best. The CAPE is at 26.42, down from the prior week’s 27.07, and only a little lower than the level reached at the pre-crash high in October, 2007. Since 1881, the average annual return for all ten year periods that began with a CAPE around this level have been just 3%/yr (see Fig. 2). The “big picture” is the months-to-years timeframe – the timeframe in which Cyclical Bulls and Bears operate. The U.S. Bull-Bear Indicator (see Fig. 3) is in Cyclical Bull territory at 63.88, down from the prior week’s 67.21. The Intermediate (weeks to months) Indicator (see Fig. 4) turned positive on June 29th. The indicator ended the week at 33, down from the prior week’s 34. Separately, the Quarterly Trend Indicator – based on domestic and international stock trend status at the start of each quarter – gave a positive indication on the first day of July for the prospects for the third quarter of 2016. Stocks suffered their largest weekly decline since the start of a year, due almost entirely to a sharp sell-off on Friday. Friday’s plunge marked the end of an extended period of light trading activity and relatively stable stock prices. For the week, the Dow Jones Industrial Average fell -406 points to 18,085 down -2.2%. The NASDAQ Composite declined more than -123 points to 5,125, down -2.36%. LargeCaps did better than SmallCaps and MidCaps for the first time in a while: the S&P 500 LargeCap index ended down -2.39%, while the S&P 400 MidCap index lost ‑3.19%, and the SmallCap Russell 2000 lost over -2.61%. Most international markets were also lower, but not to the extent of the U.S. Canada’s TSX fell -1.73%, the United Kingdom’s FTSE declined -1.71%, Germany’s DAX lost -1%, France’s CAC 40 ended down -1.1%, and Italy’s Milan FTSE remained nearly flat, down just -0.16%. But major markets in Asia bucked the trend by ending the week on a positive note. China’s Shanghai Composite was up for the week, rising +0.37%, Japan’s Nikkei rose +0.37%, and Hong Kong’s Hang Seng index surged a very strong +3.58%. As a group, international developed markets fell ‑1.51% (EFA), while as a group international emerging markets fell -1.87% (EEM). SITREP: n. a report on the current situation; a military abbreviation; from “situation report”. Even if we are in a new Secular Bull Market, market history says future returns are likely to be modest at best. The CAPE is at 27.07, up from the prior week’s 26.93, and only a little lower than the level reached at the pre-crash high in October, 2007. Since 1881, the average annual return for all ten year periods that began with a CAPE around this level have been just 3%/yr (see Fig. 2). The “big picture” is the months-to-years timeframe – the timeframe in which Cyclical Bulls and Bears operate. The U.S. Bull-Bear Indicator (see Fig. 3) is in Cyclical Bull territory at 67.21, up from the prior week’s 66.70. The Intermediate (weeks to months) Indicator (see Fig. 4) turned positive on June 29th. The indicator ended the week at 34, down from the prior week’s 35. Separately, the Quarterly Trend Indicator – based on domestic and international stock trend status at the start of each quarter – gave a positive indication on the first day of July for the prospects for the third quarter of 2016. Major U.S. indexes were positive across the board last week. The Dow Jones Industrial Average rose +96 points to close at 18,491, up +0.5%. The tech-heavy NASDAQ Composite added +31 points to 5,249, up +0.59%. The LargeCap S&P 500 index gained +0.5%, while the MidCap (+1.22%) and SmallCap (+1.11%) indexes outperformed, continuing their trend of outperformance for most of this year. Utilities and Transports were both in the green last week, with Transports rising +1.56%, while Utilities gained +0.9%. Most international markets were also up for the week. Canada’s TSX rebounded +1.06% following 2 weeks of losses. In Europe, the United Kingdom’s FTSE rose +0.83%. On Europe’s mainland, Germany’s DAX gained +0.91%, France’s CAC 40 index rallied +2.26%, and Italy’s Milan FTSE rose +2.02%. In Asia, China’s Shanghai Stock Exchange fell slightly, down -0.1%, but Hong Kong’s Hang Seng Index added over +1.5% and Japan’s Nikkei surged a robust +3.45%. In commodities, oil was down its second straight week, falling more than -6% to $44.44 a barrel. Precious metals were a bit positive with Gold rising +$0.80 an ounce to $1,326.70, and silver up over +3.3% to $19.37 an ounce. The CRB Index, an index that measures the overall direction of commodity sectors, declined more than -3.2%. The month of August was pretty “blah” in the securities markets, with few markets moving more than +/- 1% from the flatline. The Dow (-0.17%) and S&P 500 (-0.12%) were both slightly down, the MidCap 400 slightly up (+0.34%) and the SmallCap Russell 2000 was the biggest U.S. mover at +1.64%. Developed International averaged +0.53% (EFA), while Emerging International averaged +0.88% (EEM). The commodities markets were considerably more volatile than the stock markets, with gold falling more than -3% for the month, while oil gained a handsome +8%. In U.S. economic news, the number of Americans who applied for unemployment benefits rose slightly last week, but remained near post-recession lows. The Labor Department reported that 263,000 people filed for unemployment last week. A reading below 300,000 is generally considered a sign of a healthy labor market. New claims have remained in the 260,000 range over the past six weeks. The four-week average of new jobless claims, smoothed to reduce volatility, fell slightly and also came in at 263,000. New claims fell below the key 300,000 threshold in early 2015, and have remained there for 78 straight weeks, the longest stretch since 1970. Continuing jobless claims, those already receiving unemployment benefits, rose by +14,000 to 2.16 million in the week ended August 20. All figures are seasonally adjusted. On Wednesday, payroll processor ADP reported that the private sector added 177,000 jobs last month. In addition, July’s gain of 179,000 was revised up to 194,000. Jim O’Sullivan, chief U.S. economist at High Frequency Economics said the data “continued to suggest that the trend in employment growth remains fairly strong – strong enough to keep the unemployment rate trending down.” Economists frequently use ADP’s data to get an early indication of the Labor Department’s employment report released on Friday. However, Friday’s release of the Labor Department’s Non-Farms Payroll report did not live up to expectations, coming in at 151,000 – far below the median forecast. Nor did the unemployment rate come down, instead remaining unchanged at 4.9%. The stock market decided that bad news was good news, and rallied on the sub-par payroll report on the theory that the report was bad enough to stave off an increase in interest rates by the Fed in September, but not bad enough to signal anything disastrous for the economy. In housing, the Case-Shiller 20-city composite real estate index recorded a +0.8% monthly gain and is up +5.1% year-over-year. Portland and Seattle continue to lead the pack with double-digit annual price increases of +12.6% and +11% respectively. The formerly white-hot real estate market of San Francisco has slowed to its lowest rate since August 2012, but still up +6.4%. House prices continue to run far ahead of inflation, as consumer prices rose just +1% annualized at the end of June. Pending home sales in July reached their second highest reading in a decade, as a strong jobs market and record low mortgage rates support the demand. The National Association of Realtors reported that its pending home sales index rose +1.3% in July, up +1.4% versus year ago levels, and the second strongest reading since April. For the West, the index rose to the highest level in over three years. Pending home sales refer to when a contract has been signed, but the transaction has not yet closed. The National Association of Realtors forecast that existing home sales will reach almost 5.4 million units this year, an increase of +2.8% and the highest level since 2006. In addition, the group forecasts median existing home price growth of +4%, down -2.8% from last year. Americans increased spending by +0.3% in July, rising for the fourth straight month. July’s rise was led by an uptick in spending on motor vehicles and services. The increase in July matched Wall Street expectations. Strength in household spending since the early spring has helped support the US economy and offset weaker business investment. Consumer confidence is at the highest in nearly a year as the index rose +4.4 points to 101.1, exceeding analysts’ expectations. The Conference Board reported that Americans’ current view of the economy is the strongest since the Great Recession. The “present situation index”, which measures perceptions of current conditions, climbed almost +5 points to 123 – the highest level since late 2007. However, the “future expectations index” of what consumers expect six months down the road, was less optimistic at 86.4. In Chicago, the Chicago-region Purchasing Managers Index (PMI) fell -4.3 points to 51.5. While PMI readings above 50 indicate expansion, the index had been hovering around 56 the last few months. The measure reinforces the theory of a divide in the economy in which consumer spending remains strong, but businesses (particularly manufacturing businesses) are holding back. The two other regional surveys from New York and Philadelphia were also soft in August. The Institute for Supply Management’s (ISM) key manufacturing gauge fell into contraction last month, signaling continued difficulty in the factory sector. ISM’s manufacturing index fell to 49.4 from 52.6 last month, widely missing expectations for a reading of 52 (any reading below 50 indicates contraction). The last time the index was in contraction was February of this year. Of the 18 different industries in the report, 11 had weakened from the prior month. The key metrics of new orders, production, and employment were all below the 50-level. In Canada, economic output shrank by its largest percentage since the global economic crisis as the country’s oil sector continued to face headwinds. The Canadian government reported that GDP fell by -1.6% in the second quarter, the largest setback since 2009. Wildfires in its oil producing region also weighed on production. Sal Guatieri, senior economist at BMO Capital Markets stated the GDP report “could have been worse, given the hit from the wildfire, and clearly confirms the disappointing downward trend in exports over the last few months.” It was not only energy that declined in the spring. Declines in manufacturing exports also hit the economy, but the Bank of Canada is confident that exports will turn up and lead an expansion in the second half of the year. In the United Kingdom, good news continues to accumulate following the voters’ decision to leave the EU despite in spite of warnings from politicians and economists. Sterling rose to its highest level in four weeks against the dollar and the euro, while U.K. manufacturing output expanded in August. Furthermore, market researcher GfK reported that its household confidence index regained half the ground lost prior to the vote. It’s the latest indications that the nation’s fortunes outside of the European Union may not be nearly as dire as doomsayers had predicted. With German Chancellor Angela Merkel’s popularity at a 5-year low, she has now (like any politician worth her salt) flipped 180 degrees and is now supporting repatriations of “economic migrants”. On Wednesday, Italian Prime Minister and the German Chancellor jointly agreed to step up efforts to send migrants with no right to asylum in Europe back to their homelands. Renzi remarked, “All of us in Europe must work for the repatriation of those who do not have rights (to stay). It is unthinkable that we can accommodate everyone.” Chancellor Merkel added, “Not everyone can stay, and Italy has the same problem, so we have a common agenda.” The German people, particularly young women, have suffered from widespread crime waves, especially sexual assaults and rapes, following the influx of over 1 million middle-eastern refugees. The leaders of the world’s most important nations are in China this weekend for the annual G20 meeting. This is the first time China is hosting a G20 summit, and like other major international events Beijing is pulling out all the stops to make it a success. The government shut down local factories and restricted car traffic to generate cleaner air for the duration of the meeting. Economic issues are set to dominate the agenda, with the global economy continuing to be plagued by a weak recovery and stagnant job growth. In Japan, Japanese Prime Minister Shinzo Abe will meet Russian President Vladimir Putin on the sidelines of a business conference in Vladivostok to discuss closer economic cooperation in areas such as energy and technology. Japan is hoping that deeper economic ties with Russia will strengthen strategic relations in the face of a rising China. Former lawmaker Muneo Suzuki said broadening economic ties with an eye to the eventual resolution of the territorial dispute over islands in the western Pacific made sense because Russia’s energy resources and Japan’s technological expertise and investments were a good fit. Finally, oil prices have stabilized in the $35/bbl-$50/bbl range recently, and may stay there for a while. With that price level in mind, it is interesting to take a look at the production costs per barrel of oil for the major oil producing nations around the world. Interestingly, some of the most-stressed economies around the world are still producing oil at a bit of profit, but their government budgets were built on the assumption of much, much higher revenues from their oil production. The most visible example of this genre is Venezuela – still above their cost of production, but with revenues far, far lower than anticipated. The would-be socialist paradise has become a broken country of hyperinflation, rioting in the streets, government-imposed controls on everything and extreme scarcity of necessities. The ranking relationship (shown in Fig. 5) between the defensive SHUT sectors (“S”=Staples [a.k.a. consumer non-cyclical], “H”=Healthcare, “U”=Utilities and “T”=Telecom) and the offensive DIME sectors (“D”=Discretionary [a.k.a. Consumer Cyclical], “I”=Industrial, “M”=Materials, “E”=Energy), is one way to gauge institutional investor sentiment in the market. The average ranking of Defensive SHUT sectors rose slightly to 23.3, up from the prior week’s 23.5, while the average ranking of Offensive DIME sectors fell to 15.3 from the prior week’s 14.3. The Offensive DIME sectors remain much higher in rank than the Defensive SHUT sectors. Note: these are “ranks”, not “scores”, so smaller numbers are higher ranks and larger numbers are lower ranks. Even if we are in a new Secular Bull Market, market history says future returns are likely to be modest at best. The CAPE is at 27.07, up from the prior week’s 26.93, and only a little lower than the level reached at the pre-crash high in October, 2007. Since 1881, the average annual return for all ten year periods that began with a CAPE around this level have been just 3%/yr (see graph below). The “big picture” is the months-to-years timeframe – the timeframe in which Cyclical Bulls and Bears operate. The U.S. Bull-Bear Indicator (see graph below) is in Cyclical Bull territory at 67.21, up from the prior week’s 66.70. The Intermediate (weeks to months) Indicator (see graph below) turned positive on June 29th. The indicator ended the week at 34, down from the prior week’s 35. Separately, the Quarterly Trend Indicator – based on domestic and international stock trend status at the start of each quarter – gave a positive indication on the first day of July for the prospects for the third quarter of 2016. Should I cancel my indexed universal life policy? A client asked me to review their Equity Indexed Universal Life insurance policy that they had and wanted to know if they should continue paying the policy premiums or if there was something better that they should be doing with their money. Great question! I thought it would make for an even better blog post for retirement plan smackdown, so let’s run the numbers on if they should keep the policy or not. 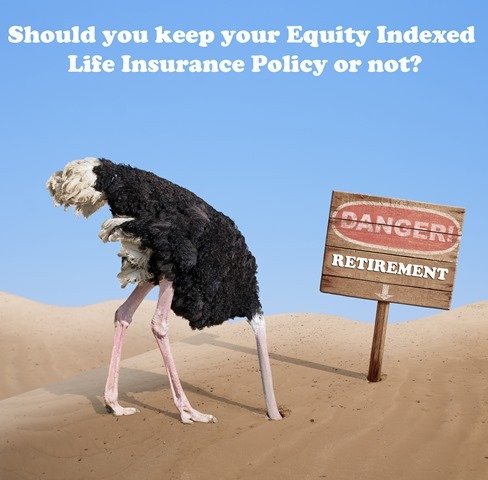 What value are you getting from your equity indexed universal life policy? If the doctor says that you have under 24 months to live, or need help with 2/6 Aid for Daily Living (ADL) activities, then you can access the $200,000 death benefit before you die. If you can’t perform 2/6 Aid for Daily living activities, then you can access up to 2% of the death benefit ($4,000) each month until the benefit goes to zero. If you spend your entire $200,000 death benefit on long term care at $4,000/month (50 months) then you can get another $200,000 of long term care coverage that will pay out at 1% of the original death benefit, or $2,000/month for another 100 months. Out of the $264/month check that he’s been paying for the past 8 years, 78% of it has been eaten up by insurance costs, fees and expenses. The client has paid a total of $26,112 into the policy but it only has a cash value of $8,589, and a surrender value of $7,954. This is the amount of money that the client could walk away with if they wanted to do something else. Also, the client has only been making the minimum premium payments to keep the policy in force, the policy was designed to work on a $300/month payment plan, the fact that the client has only been paying $264/month means that the policy is at a huge risk of becoming underfunded and eventually lapsing. If the client wants to keep the policy, they should planning on paying at least $300/month from here on out. Should you cancel your equity indexed universal life insurance policy or not? Before you do anything, you should see if you can get equivalent life and long term care coverage for the same $300/month cost. First off, I used www.sidebysidequotes.com to search for all of the insurance options for a healthy 56 year old male, and here are the following results for a $200,000 death benefit. I also used www.sidebysidequotes.com to search for all available long term care plans and searched for a plan that would provide for $4,000/month of long term care coverage for the longest period possible, which is for five years. Depending on how long the client wants guaranteed life insurance coverage for would dictate how much they’ll end up spending for their plan. After completing a complete financial review with the client, we found out that wanted the life insurance to pay off the house in the event of death so that his spouse wouldn’t be in a financial bind. Since 2008 they’ve paid down the mortgage to where they only owe $100,000, so client client decided to go for a 20 year Term Plus Insurance plan from Ohio National for $100,000. This plan has a unique conversion feature, whereby if the client were to be diagnosed with a terminal illness, they could automatically convert their policy over to a whole life plan with a $100,000 death benefit with no additional medical underwriting. This give the client the protection that they need, and a conversion clause just in case. 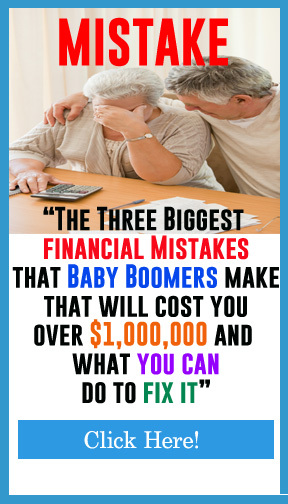 Alternatively, the client could add more to his 401(k) plan at work, or look at doing a ROTH IRA, but the Health Savings Account is a superior option because there were already paying the $300/month that was earmarked for life and long term care costs anyways, so by investing into the Health Savings Account, they’re able to have more access, control, and tax benefits versus the old EIUL policy. Granted, you can’t take take “participating policy loans” out of a Health Savings account, but the client wasn’t putting enough money into their EIUL policy to benefit from any of these features. The HSA account gives them a tax deduction on their contributions, tax-free growth, and tax-free withdrawals when used for medical costs like long term care, Medicare Part B premiums, heart attack, etc. A modest 10% growth rate of return is not out of the question, and having another $554,000 of liquid monies available to pay for things versus an empty life insurance policy that very well could implode in the future sounds like a good way to go. 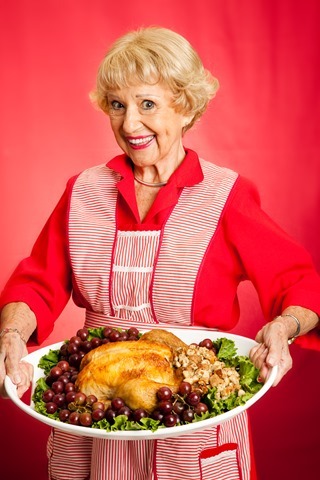 The Key to everything is getting a comprehensive Retirement Income Plan to see what your options are. At Anthony Capital, we offer a 2nd opinion service that does exactly that, it takes a 30,000 foot overview of your current retirement plan and gives you recommendations on the things that you can do to improve. By looking at more than just your investments, we can come with initiative and personalized solutions that can help you save money on unnecessary fees, expenses, taxes, and penalties and help you reach your retirement income goals. If you’d like to request the 2nd Opinion service for your retirement account, then CLICK on the link to schedule a time to get on my calendar! It could be worth tens of thousands of dollars!